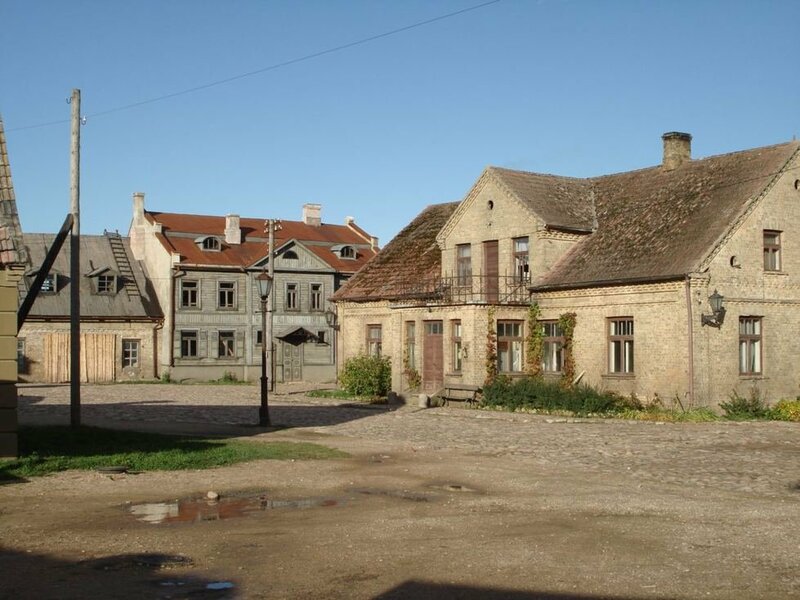 In 2005, the Cinevilla Studio’s back lot, or “film city” (kinopilseta) won the award for Best New Cultural Tourism Product by Latvia’s State Agency of Tourist Development; it also received an award from the Latvian Ministry of Culture for its contribution to the development of the film industry in Latvia. Latvia’s Cinevilla Studios actually consists of two locales; one just outside of Riga in the seaside resort of Jūrmala, providing easy access for clients. The back lot is situated slightly further afield, about an hour’s drive from the capital, near the city of Tukums. Getting there requires some effort, as it is only accessible by car, but for an enthusiast without a car, a bus ride to Tukums and then a short taxi ride to the back lot may prove worthwhile. 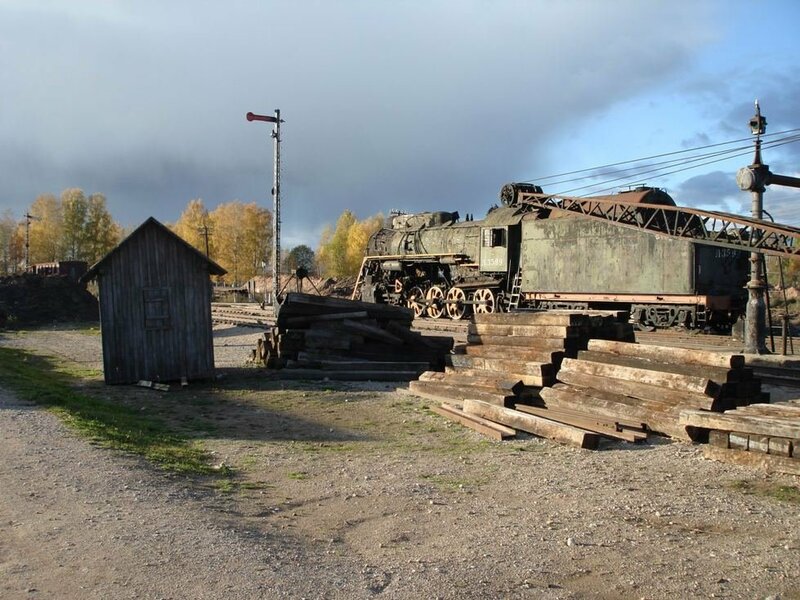 The current sets at Cinevilla back lot were used in the filming of The Defenders of Riga (2007). Trample the cobblestones of an Old Town square; peruse the shop fronts offering everything from baked goods to linens. The shops’ advertisements reveal that not much has changed in Riga over the past 100 years – then, as they are now, advertisements were offered in a variety of languages – Russian, Latvian, and also German. Walk across the wooden Lubeck Bridge, a copy of an actual bridge that once existed in Riga, and gaze across at the fake riverbank. While one side of Cinevilla’s 150 hectares (15 of which are covered with large-scale film sets) offers you a view of right bank Riga city life in days gone by, the other side depicts an image of the more pastoral life in the suburbs of Āgenskalns in Pārdaugava. Here you can see a fire station, train depot, a small market, and even a replica of the Neo-Gothic Tornakalns Church, which is still located on the left bank of the Daugava River in Riga. The Cinevilla back lot has fast become a big hit with tourists. According to Cinevilla’s head of management Karīna Bērziņa, in 2006 the back lot was visited by over 91,000 people, and in 2007, that number grew to 152,000, which includes both foreigners and locals. These numbers are quite impressive considering the fact that the back lot is difficult to get to by public transport. 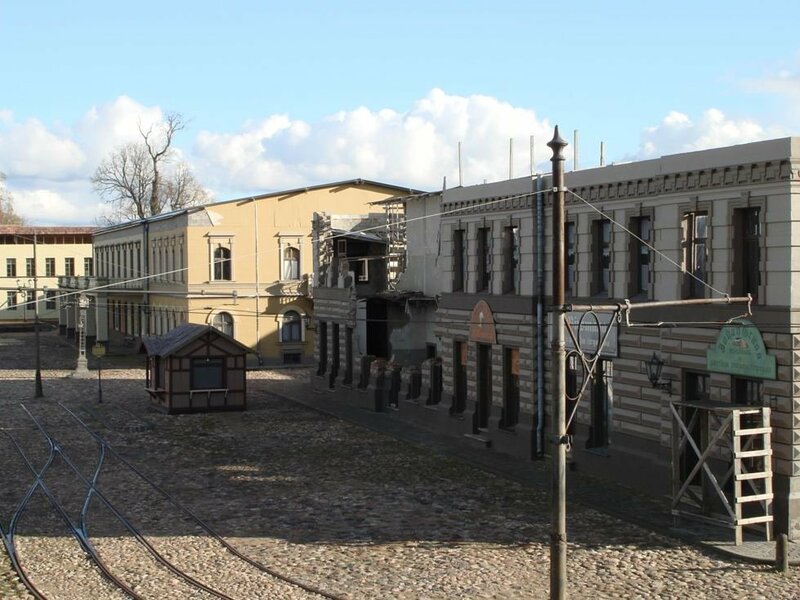 But most of the guests feel that the trouble is worth it, as Bērziņa remarks that visitors are impressed by the film-shoot atmosphere out in the countryside, and the possibility of seeing real film sets in the open air. Plans are underway to make visiting the back lot more convenient for tourists without a car. Bērziņa says that they’d like to set up a minibus from either Jūrmala or Tukums, but it’s just a question of which transportation company would be able to provide these services. Cinevilla studios’ latest production began work in 2004, and has only just been released to the public this autumn. The Defenders of Riga is a historical drama based on real-life events in Latvia’s history, and tells a story that few outside Latvia may be familiar with. In the aftermath of World War I, just months after Latvia had declared its independence from the Russian Empire, some Russian and German troops still remained in the territory of Latvia. One rogue German General came up with a plan to take over two of the Baltic countries – Latvia and Estonia, and create his own Germanic state. This solipsist and his army of 50,000 were held back from taking Riga by a group of only around 11,000 Latvian fighters, some of whom were members of the army, but many of whom were non-military volunteers.